A new study finds that reducing anxiety through cognitive behavioral therapy (CBT) could significantly mitigate the negative effects of schizophrenia, particularly paranoia about persecution. Certain people with schizophrenia live with intrusive fears — most of which are irrational and involve delusions of persecution (that someone is out to get them, hurt them, or kill them). This type of paranoia is a severe effect of schizophrenia, a chronic brain disorder that is often characterized by the patient hearing voices in his head. The disease also causes people to believe other people are reading their minds, controlling their thoughts, or trying to maim them, and may involve hallucinations and thoughts that don’t make any sense. It’s a scary and debilitating disease, one that is exacerbated by external worrying and anxiety. So researchers at the University of Oxford, the University of Southampton, and the University of Manchester set out to test, in a clinical trial, whether cognitive behavioral therapy could have a positive effect on schizophrenia patients by reducing anxiety. The study, published in The Lancet Psychiatry, examined 150 NHS patients who had been diagnosed with schizophrenia or a similar mental illness. 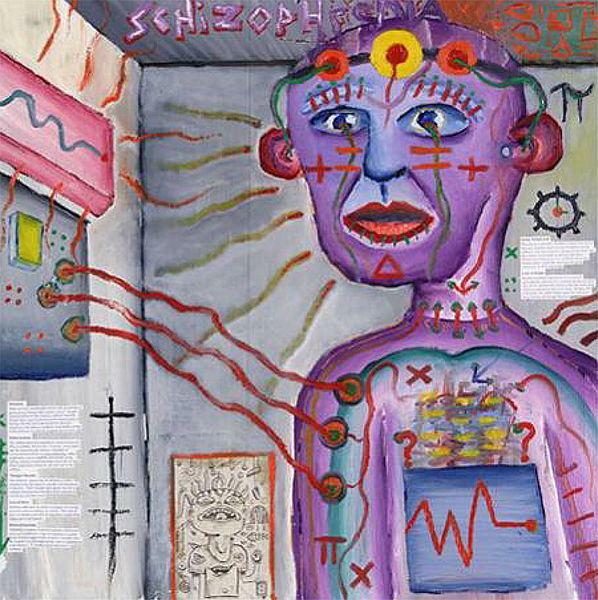 The participants all had severe paranoia despite having been medicated (schizophrenia patients are typically prescribed antipsychotic drugs, which don’t cure the illness but can reduce symptoms). They took part in six sessions of cognitive behavioral therapy targeting worry — and the researchers found that this greatly lessened the intensity of persecution fears, in addition to increasing the patients’ levels of happiness. One of the techniques used by patients in the trial was to recognize when they began to have intrusive, paranoid thoughts, and interrupt them by saying, “Excuse me, worry, I can’t listen to you because…” which then allowed them to move on and do something else. More studies like this are needed in the medical world, which often places too much of an emphasis on physical ailments rather than mental health, and prescribing drugs as a solution to everything. Mental health care isn’t only essential for patients with severe mental illnesses like schizophrenia; it affects every one of us. Anxiety and paranoia are both common symptoms among regular people — and they're issues that don’t receive enough attention, the authors argue. Source: Freeman D, Dunn G, Startup H, Pugh K, Cordwell J, Mander H. Effects of cognitive behavior therapy for worry on persecutory delusions in patients with psychosis (WIT): a parallel, single-blind, randomized controlled trial with a mediation analysis. The Lancet Psychiatry. 2015.